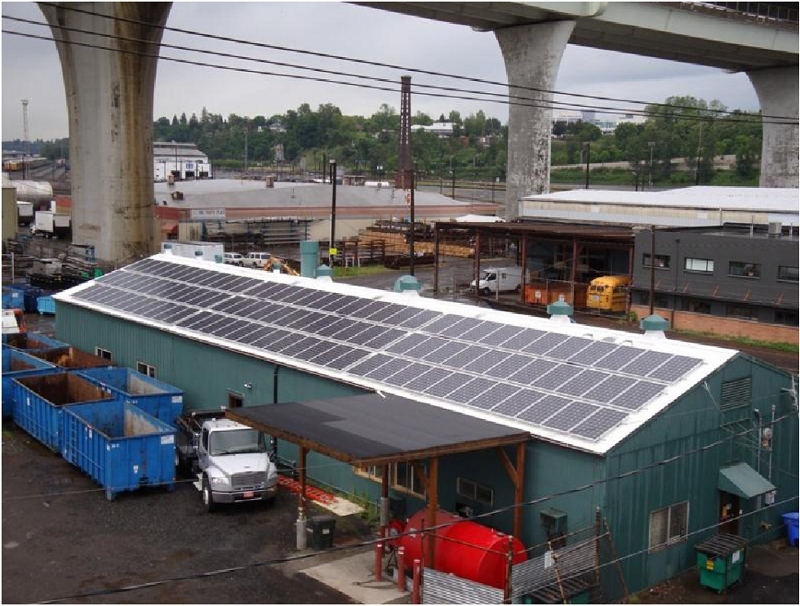 Cloudburst solar array under the east end of the Fremont Bridge. Cloudburst Recycling, one of Portland’s earliest green companies, has recently gotten even greener. Hello, Eliot! This is the first installation of what will hopefully become a regular feature of the Eliot News. I was the Eliot Neighborhood Liaison Officer for a number of years before I was deployed with my National Guard unit to Iraq. I am back, and have recently started with the Neighborhood Response Team. I have taken over in this position for OFC Amanda McMillan who has moved on to a new assignment. I look forward to working with everyone again. On Saturday September 25th the Eliot Neighborhood Association and the City of Portland Office of Neighborhood Involvement Graffiti Abatement Program teamed up to make a difference in Eliot. Residents from the neighborhood along with volunteers from Volunteers of America and Portland State University met at the corner of Graham and MLK to cleanup Graffiti. The vacant lot on the southeast corner of MLK and Ivy used to be a service station turned alchemy lab known most recently as the Grant Warehouse. The former owner had polluted the site with an unknown toxic brew which was discovered during a fire. Consequently the City tried to force Mr. Grant to clean up the site, which was beyond his ability and means. Ultimately the EPA did the clean up and placed a lien on the property. 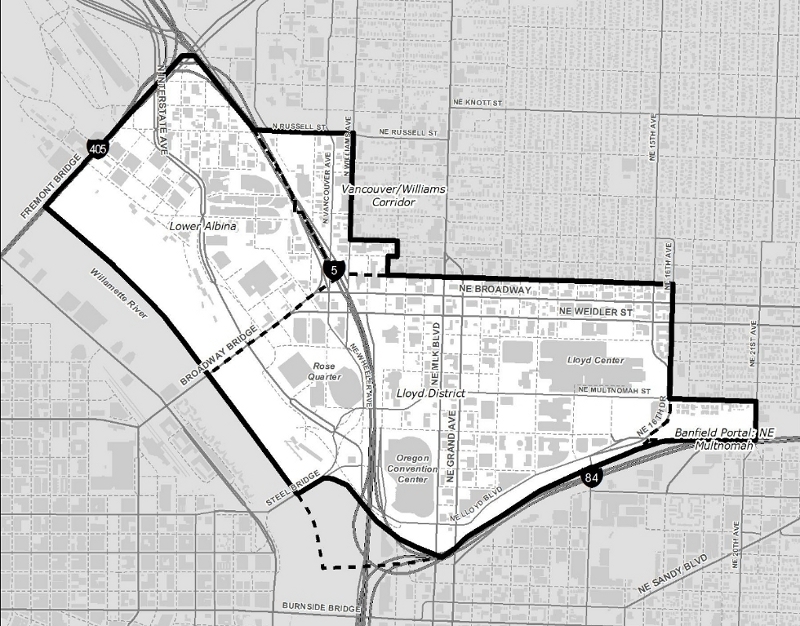 Eventually the EPA turned the property over to the City and from there it ended up with PDC as an “opportunity site” within the Convention Center Urban Renewal District. 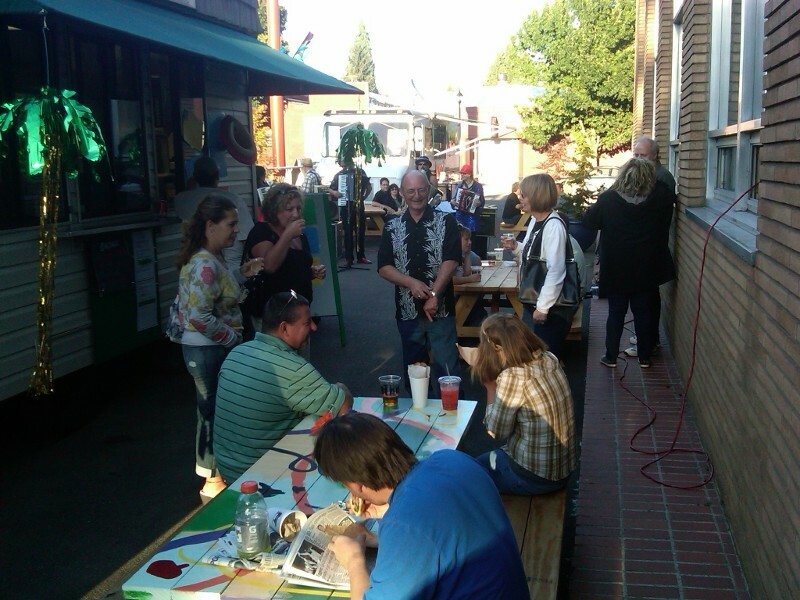 PDC hosted a couple of community advisory committees to explore development options and to solicit design proposals. One of the goals was to provide home ownership opportunities rather than subsidized rental housing. 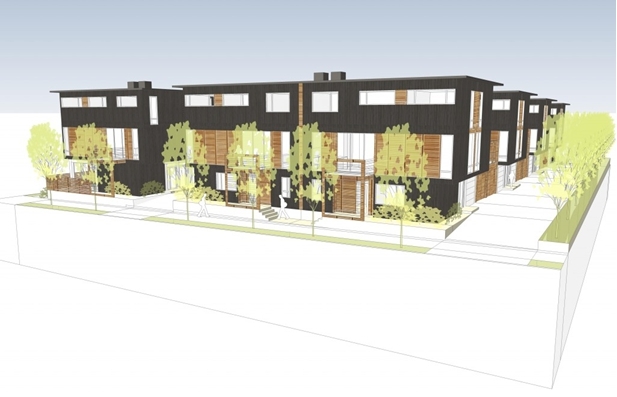 Due to the poor housing market and challenge financing condo construction in inner-NE Portland final design and construction had been delayed. Now it appears a workable plan has been identified that can be constructed. 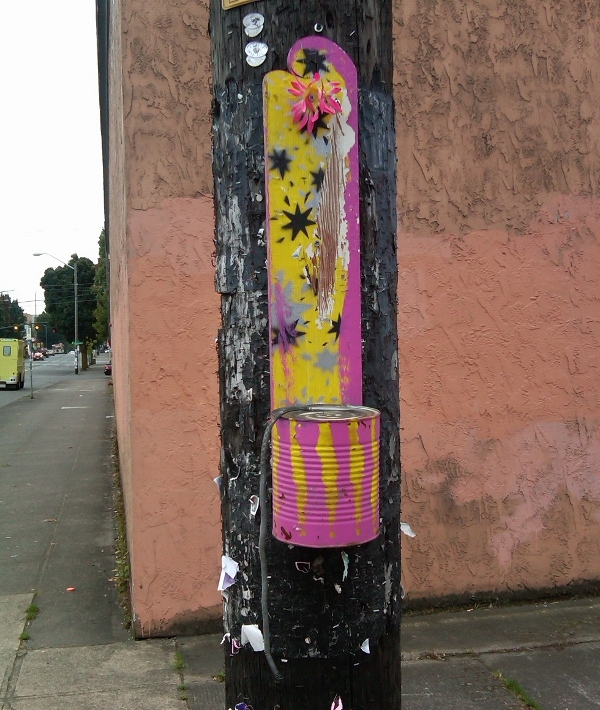 On the corner of NE Hancock and Martin Luther King Jr Blvd there is a thing hanging on a Pacific Power utility pole. It has been there for a while, just hanging attached to the pole with nowhere to go. How long has it been there watching traffic? Continue reading What is this thing?